This post is sponsored by Fresh Thyme Farmers Market. We have been compensated for this post; however, all opinions are ours. 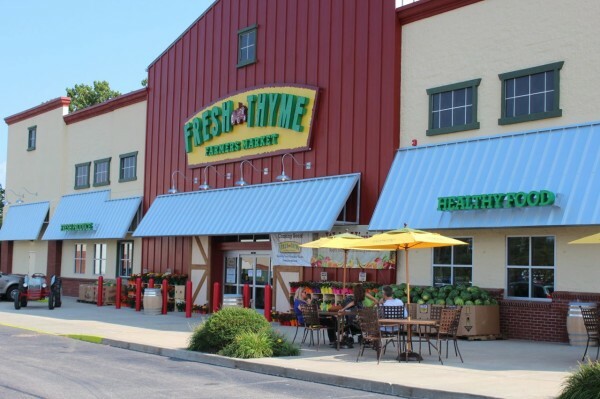 Here we are with another installment of 365 Things to do in Cincinnati and today we’re featuring a new grocery shopping experience, Fresh Thyme Farmers Market. This is the first Fresh Thyme Farmers Market location for Cincinnati and it’s just the fifth location for this group of markets. The store is in Oakley, conveniently located just off the Ridge Road “exit” on the Norwood Lateral. 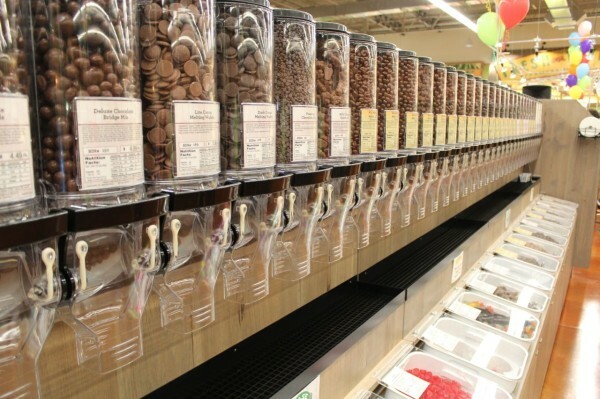 From the moment you walk in, you’ll realize this is not your ordinary grocery store. 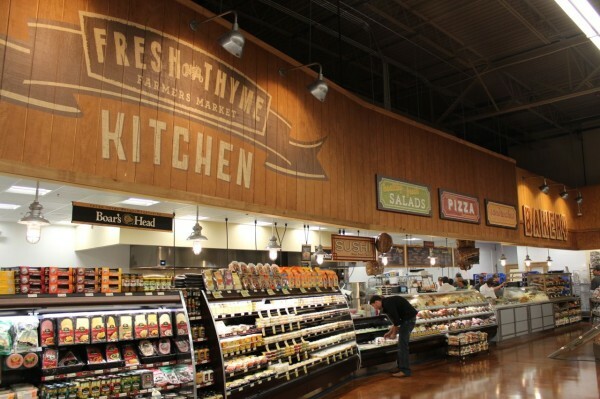 Fresh Thyme Farmers Market is a “value-oriented, fresh and healthy grocery company whose mission is to offer natural and organic food at affordable prices in a happy, friendly shopping environment” (from the Fresh Thyme Facebook page). After touring and shopping at the store myself, I found their regular prices comparable to other similar stores and their sale prices to be better than most. 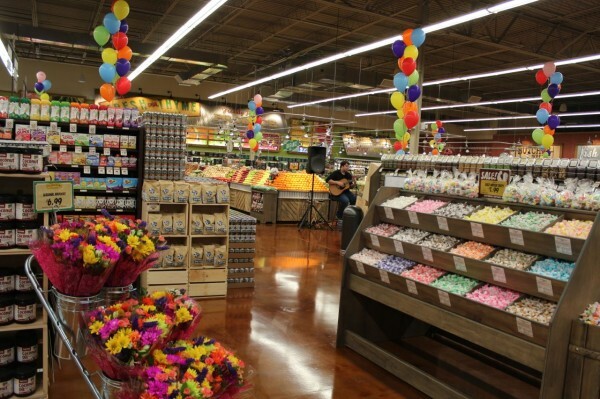 The store has a very open concept with very few traditional grocery store stocked aisles. As far as layout, it really is similar what you’d expect to find at a true market. The cases are low profile and you can see across the entire store. Produce is attractively stacked and breads are out in the open and ready for your perusal. 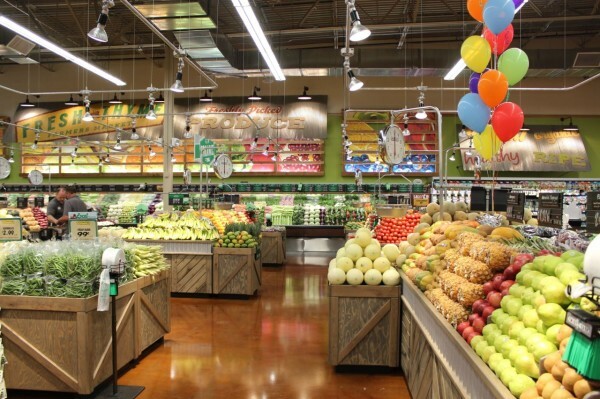 The produce section takes center stage, both figuratively and literally. It takes up a large portion of the floor and is in the center of the store with all the other food around it. They stock a number of locally sourced items (marked with a large “Local” sign where applicable). And they have a HUGE selection of organic fruits and vegetables. I was VERY impressed with how fresh the produce was. The “bulk” sections of Fresh Thyme Farmers Market definitely surprised me (in a good way!). 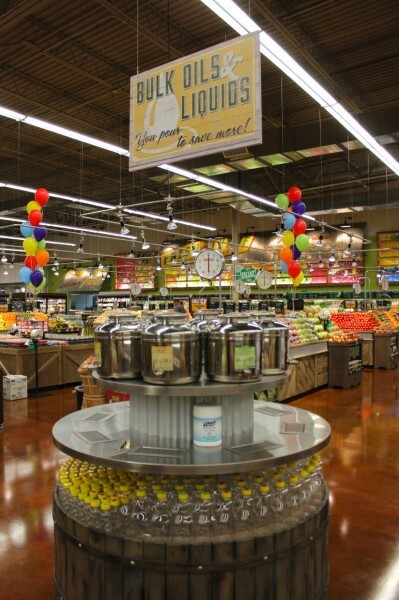 Above you’ll see a “Bulk Oils and Liquids” section where you can pour yourself a bottle of assorted oils, honey, Agave, and more. With over 400 bulk items, I’m sure you’ll find something to try. Personally, we brought home a nice selection of assorted granolas from the bins. 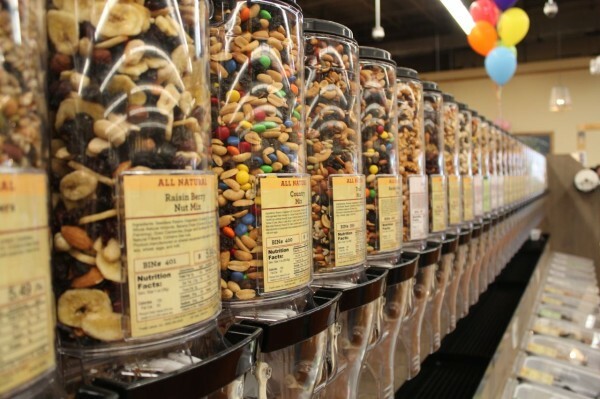 The bulk aisles could become a serious addiction for me. 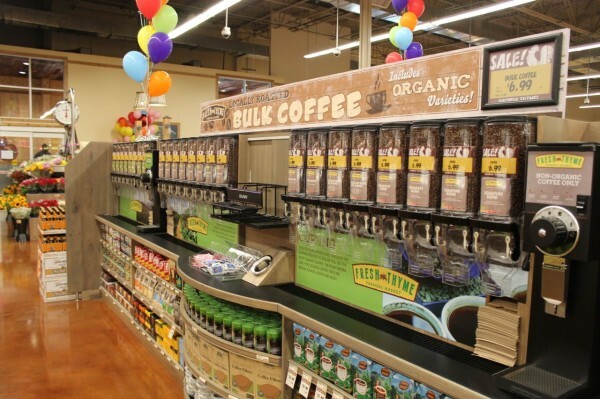 And for you coffee lovers, I present the bulk coffee aisle featuring an entire row of beans for you to choose from… and some are organic. And if you have the want to know exactly what goes into your peanut butter, check out their Nut Butter section. 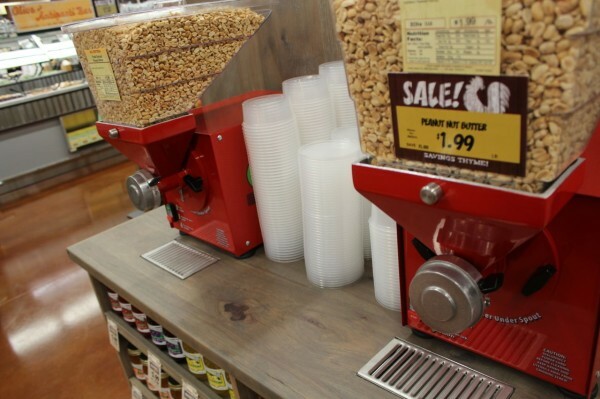 Grab a container and make your own nut butter (peanuts and organic peanuts offered). 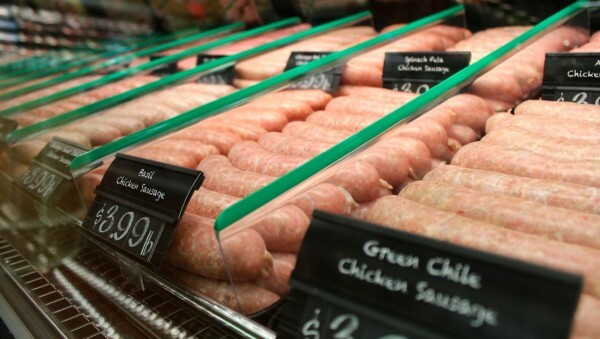 They do, of course, offer a selection of fresh meats including sausages made in-store and lots of fresh seafood (the salmon looked amazing). 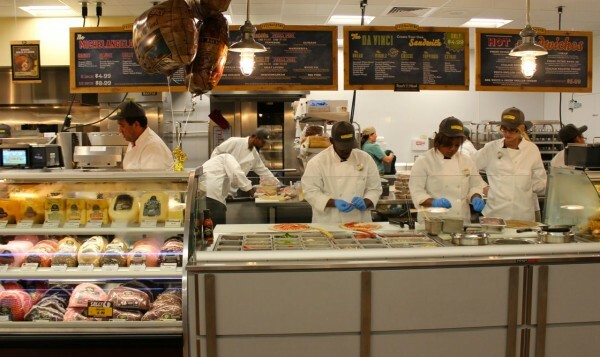 The meat case offers a number of “ready to cook” entrees and cuts to take home for your recipes. They carry a large assortment of Boars Head meats (my favorite) which you can have sliced and packaged up for you or they’ll make you a sandwich right there if you’re looking for a quick meal option. They also make “made to order” pizzas that they will cook for you… or you can have them assemble it and take it home to cook yourself. They even offer gluten free pizza crust and bread choices. 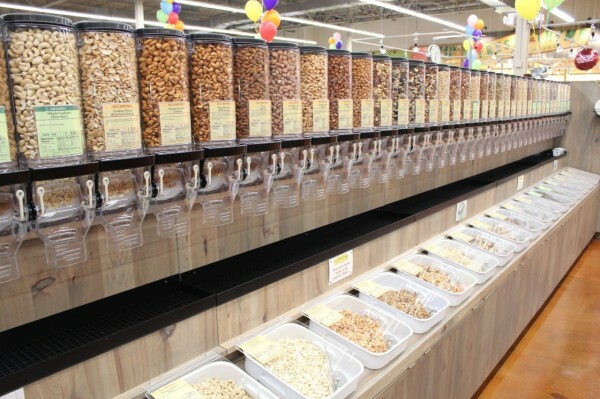 They do have a few traditional aisles over on the left side of the store but what they carry on those shelves may surprise you. They have a HUGE selection of all natural and organic products. They have a GREAT wine aisle. Their vitamin section is nicer than any I’ve seen (at a grocery) and they even carry some essential oil products. They also have a nice frozen food section with one of the better gluten free sections in town. AND just look their selection of Jeni’s Ice Cream! The natural goodness carries right into their dairy section too. 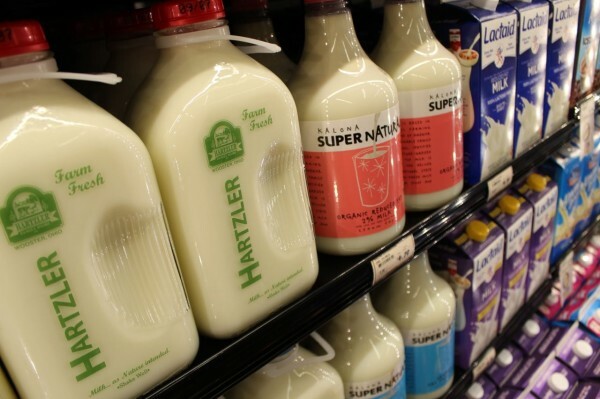 When was the last time you enjoyed milk out of a bottle? And one last thing to leave you with… watch for their shopping ads in your mail or Red Plum bag and consider shopping on Wednesdays as they have “Double Ad Wednesdays”. Next week’s ad starts at 7am on Wednesday but LAST week’s ad runs through the end of business on Wednesday. You can enjoy the savings from two weekly ads every Wednesday. Double score! So excited for this! Cincinnati needs this! !